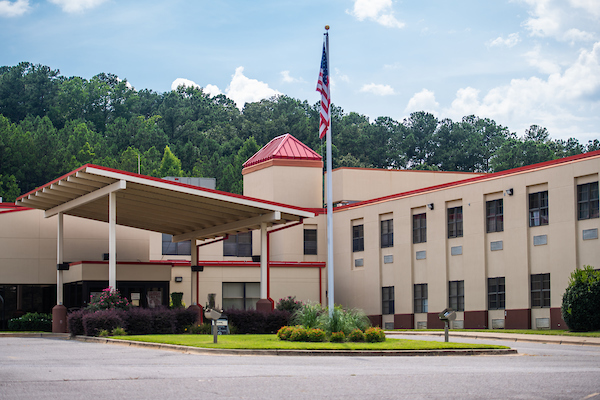 On Thursday, Sept. 6, JSU’s Department of Nursing will unveil its new Nursing Skills Lab at the former RMC-Jacksonville Hospital by hosting an open house and browsing session from 2-7 p.m. for the local and campus communities. The open house provides the department with the chance to demonstrate how RMC’s generous donation is being used to meet an unprecedented need at the university. The Nursing Skills Lab, also referred to as the Nursing Arts Lab, provides an arena where nursing students can practice everything from taking vital signs, sterile techniques, changing dressings, inserting Foley catheters, assessment techniques, and NG tubes to name a few. RMC donated the 104-bed hospital after it closed in June. The gift made JSU one of only three nursing programs in Alabama to have access to such a facility, alongside the University of Alabama at Birmingham and the University of South Alabama. The gift was an unexpected blessing amid so much chaos. A March tornado forced the closure of Wallace Hall, home of the nursing program. The ongoing repairs and renovations at Wallace Hall allowed for larger classrooms, and the donation of the hospital has made it possible for JSU nursing to increase its enrollment by 45 percent. Normally, the nursing program admits upwards of 70 new students each spring and fall semester but starting this semester that number has increased to 120 students. In addition to the open house for the Nursing Skills Lab, the nursing department is also inviting people to tour its high-fidelity simulation lab next door at Brookstone beginning at 5:30 pm.